Home / Latest / Mario Balotelli’s Custom evoPOWER Tricks MB45 Boots! Mario Balotelli’s Custom evoPOWER Tricks MB45 Boots! When it comes to limited edition boots, brands want players that have an impact wearing them. Today was not one of those days, although the boots did stand out and raise some interest. Check out Mario Balotelli’s custom evoPOWER Tricks MB45 boots, worn for the first and only time during Liverpool’s clash with Chelsea today. We saw him train in them yesterday, but this was their only on-pitch appearance. 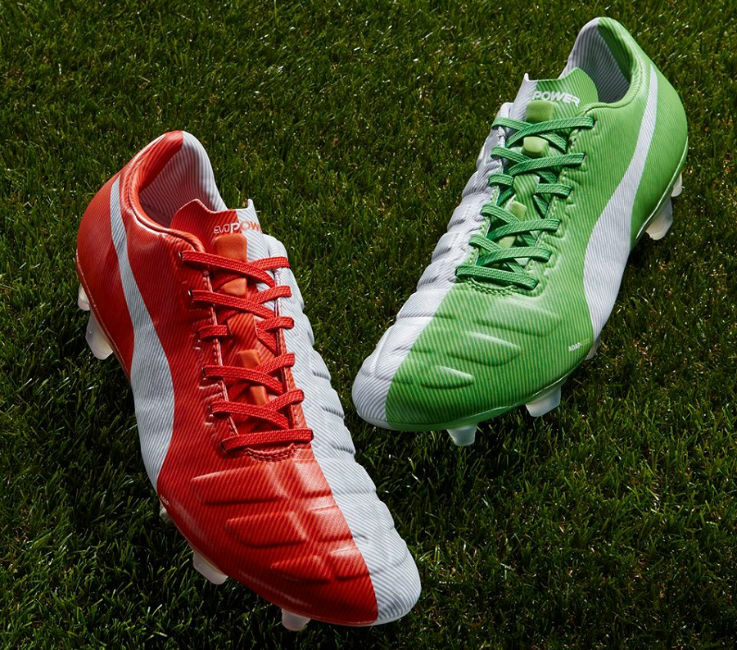 Puma created this limited edition boot for “Super Mario” with a very Italian inspired look. 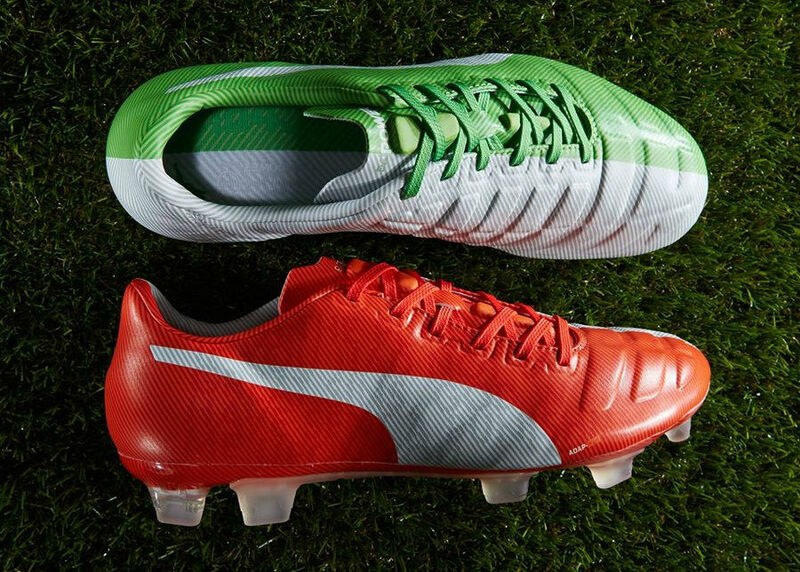 It comes in what is becoming a signature dual color design for the Cat; One boot features a Green/White look, while the other has a Red/White. Along the side of the boot, you also get a quote from one of his tattoos and the words Professionalism, Endeavour and Humility. 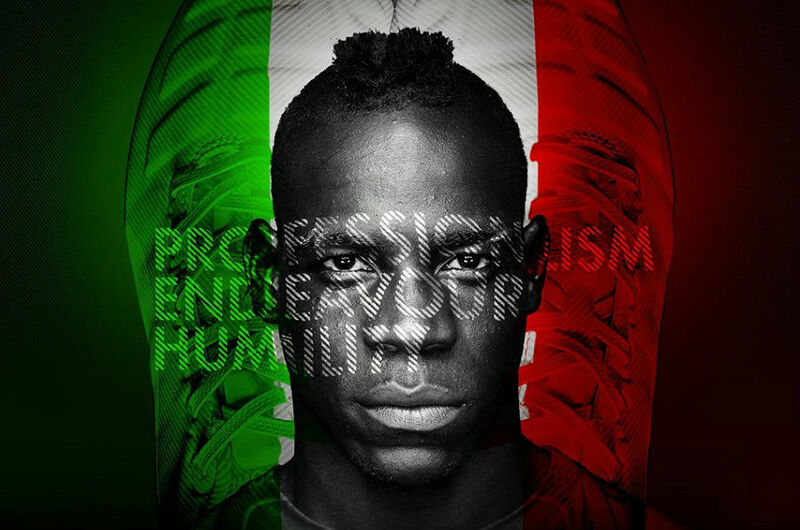 We know his as a brash, outspoken, confident guy but apparently these are the values Mario lives by! In terms of performance, the evoPOWER is rock solid and definitely a boot worth considering by pretty much every player out there. They are lightweight, but well built and they provide a wonderful strike zone for connecting with powerful shots. The big question then becomes “would you wear a pair in this colorway?” If the answer is YES, you better get ready to duke it out for a pair as there are only going to be 400 pairs released worldwide. Where to find them in the US? They are currently listed in limited sizes on Soccer.com!